Beaver Scouts are boys and girls aged between six and eight years old, usually joining us just before their 6th birthday. They belong to the first and youngest section in the Scouting family. 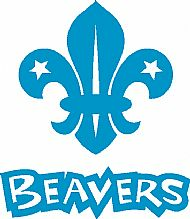 Easily recognised by their distinctive turquoise sweatshirts, Beaver Scouts enjoy activities based around making things, outdoor activities, campfire songs, playing games, going out on visits, helping other people, investigating nature, learning how to be safe and most importantly, making new friends. They meet on Thursday evenings from 6 pm - 7 pm at Victoria Hall. Subs for the term are currentlty £40.00. We are part of the 14th Winchester Scout Group, which includes two Beaver colonies (one in Sutton Scotney and one in South Wonston), two Cub packs and one Scout Troop, drawing children from around Sutton Scotney, Barton Stacey, South Wonston and Micheldever. We regularly join up with our sister colony in South Wonston, as well as the older age groups, so our Beavers get to know each other before they move up to Cubs . To register an interest in joining, please apply via the following link: http://www.winscouts.org.uk/groups/14th/contact.html.